Sheikh Hamad bin Thamer Al Thani, chairman of the board of Al-Jazeera, spoke with TBS Senior Editor Abdallah Schleifer and Managing Editor Sarah Sullivan in Doha about the philosophy behind the channel, and how it has developed into a global broadcaster. TBS: How did it all begin? How did the idea of Al-Jazeera come about? 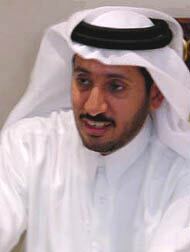 Sheikh Hamad bin Thamer Al Thani: The idea of Al-Jazeera came about in the beginning when we observed that there were many types of media, with specialized sports and news and entertainment programs, in the West. This type of specialization wasn't found in the Arab world. So the idea arose to start a channel specializing in news that would serve many viewers in the Arab world. TBS: There are many channels in the Arab world with news bulletins. 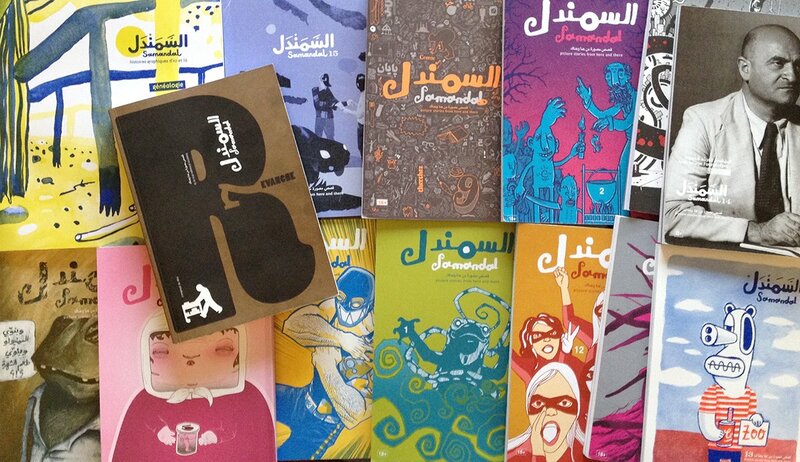 What made you decide to make Al-Jazeera so different? Why did you create Al-Jazeera, instead of doing the news the way most other stations in the region do the news? Sheikh Hamad: I think the key word in the success of Al-Jazeera is the amount of freedom available to the people who work at Al-Jazeera, in addition to their professionalism. That's the most important thing that differentiates us from the others. TBS: The past four or five years you periodically have come under pressure from different Arab countries at different times. Now you're under pressure from Washington. Is that pressure continuing? You survived pressure from the Arab states—will you survive the pressure from Washington? Sheikh Hamad: We've heard the remarks from American Secretary of State Colin Powell and also, when I was in the United States recently, from other officials and from Congress. 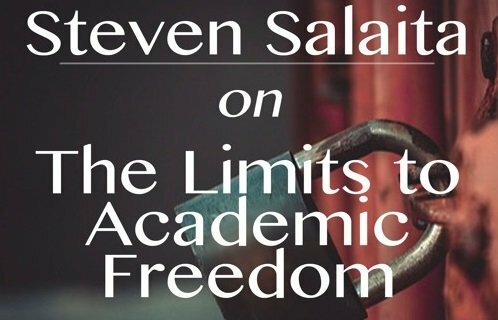 We've explained the line we follow at Al-Jazeera, which is a degree of freedom. Al-Jazeera was accused in the beginning of being a channel financed by Iraq or by Saddam Hussein when we covered events in Iraq. When we reported on the Israeli elections and when we ran interviews with Ehud Barak and Shimon Peres, Al-Jazeera was immediately accused of being financed by the Mossad. Also, when we reported on events or issues within the United States from our office in Washington we were accused of being financed by the CIA. We're used to these remarks or accusations at Al-Jazeera. We're now hearing remarks from the American administration on our coverage of recent events, and I think we're evenhanded in our reporting on these events. Our basic view is of exclusive and quality news reporting. I think Al-Jazeera will continue in its same manner, presenting various opinions, which it has followed since its beginning, especially since in a few weeks we will mark our fifth anniversary, and this is an occasion when Al-Jazeera can celebrate the preserving of our news strategy which is "Al-Ra'i wa al-Ra'i Akher"—"one opinion and another"—meaning to get both sides of a story. TBS: The interviews with Barak and Peres and others was in the context of your covering the most recent Israeli elections. You were the first Arab channel to do interviews with Israeli leaders? TBS: How would you relate the establishment of Al-Jazeera to the His Highness Sheikh Hamad bin Khalifa Al Thani's vision of a civil society and a liberal constitutional emirate? Sheikh Hamad: Al-Jazeera is going the same direction as the state of Qatar in its recent developments, starting with the elections for a chamber of commerce in Qatar, and also municipal elections with women's participation, as candidates and voters. After a year and a half we'll have parliamentary elections in which women will participate. I think this direction corresponds with the direction of the media, be it Al-Jazeera, or lifting censorship on local Qatari newspapers. The two go together in this stage, and I think the direction of Al-Jazeera is a natural one that corresponds with the strategy Qatar is taking at this phase. TBS: His Highness the Emir abolished the position of Minister of Information. Why was this decision made? Sheikh Hamad: Simply speaking, the Ministry of Information, in one way or another, is the ministry that controls the news media, be it television or radio or newspapers. At the same time we looked to the Western world which has very advanced media, and find that there are no ministries of information. We don't see that a ministry of information has any positive role to play in future media projects. TBS: Al-Jazeera is scheduled to become financially independent next month. How will you make money, especially considering that you aren't getting the advertising you should get based on the number of people who are watching Al-Jazeera, as the agencies are worried about losing advertising revenue in other Arab countries. Are you preparing to go into pay TV as an alternative in the Middle East? Especially since it's working in America, you're making money there, and you're now making a deal for pay-TV in England. Sheikh Hamed: In addition to that, we've now encrypted Al-Jazeera in Australia. Naturally the next step that Al-Jazeera's board of directors is studying is encrypting in Europe. If the board felt it would be beneficial to encrypt in Europe, we would consider it a step that would have a very positive effect on Al-Jazeera. But as for the Middle East, the idea of encryption is unlikely at this time, although we have had many offers from media organizations. TBS: When will be the right time for the company to go public, to put shares up for sale—especially since you're very well known now and the channel is hot? Sheikh Hamad: Exactly, and this will happen soon. The board of directors is studying this idea right now; because of the worldwide attention we have, it's the right time to open this topic. TBS: Could you tell us a bit about your own personal background that led you into this field? How did you become interested in journalism and broadcasting? Sheikh Hamad: My career began in 1987 with the ministry of information, first in the printing and publications department, and after that in the Foreign Information Agency. After that I worked as the first undersecretary to the minister of information. Then the Ministry of Information was abolished and the idea of starting Al-Jazeera arose. With the beginning of this channel the board of directors was formed, and I was chosen as chairman of this board; this was around the end of 1994. We worked about two years on establishing Al-Jazeera, until the channel was launched in Nov. 1996. 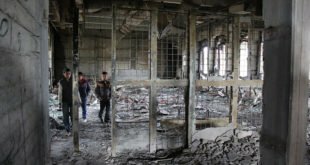 TBS: If it was its Intifada coverage that established Al-Jazeera as the leading broadcaster in the Arab world, it is coverage of this crisis that has made the channel a global player, like CNN and BBC World Service. In that context of going global, could you comment on the arrangement you now have with CNN? Sheikh Hamad: I consider the beginning of Al-Jazeera becoming a global broadcaster was with the Desert Fox campaign. Al-Jazeera had an office in Baghdad, this was the first time for Al-Jazeera to stand alongside international organizations like CNN and BBC and ABC. This was in 1998, and was the first world event that allowed Al-Jazeera to gain international importance. Then the Intifada began in Palestine, and Al-Jazeera was also there. Events themselves are what make news channels. We try to be present where events are taking place, to distinguish ourselves and transmit a clear picture to our viewers, whether they be in the Arab world or elsewhere. PODCAST | We are all…NETWORKED. 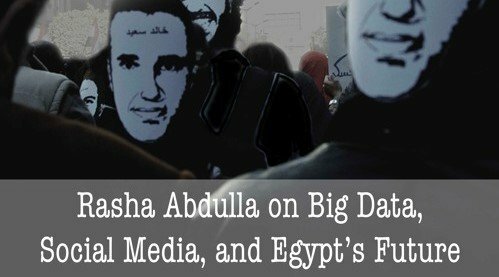 Dr. Rasha Abdulla, associate professor in the Department of Journalism and Mass Communication at the American University in Cairo speaks with us about her work on big data, social media and the Egyptian Revolution. Together with a group of scholars from the University of Amsterdam, Dr. Abdulla conducted big data research using the contents of the “We Are All Khaled Said” Facebook page. Dr. Abdulla was lead on an article investigating the role of the page as a venue for lessons in democratic participation.